The Lincoln Financial Foundation Collection website is now online! This one-of-a-kind collection is now available for Lincoln buffs of all kinds - scholars, educators, students and everyday folk. Don't miss out on the Educators section of the website, which contains webquests, PowerPoints and a lesson plan related to Lincoln and the collection. Please be aware that certain aspects of the website are still in the design process. Keep checking back to see what's new! Indiana, and the rest of America, will honor Abraham Lincoln's 200th birthday (February 12, 2009) with a bicentennial celebration that kicks off in February 2008 and continues through 2010. The Hoosier state has many reasons to celebrate President Lincoln and the bicentennial of his birth. Abraham Lincoln spent 14 of his most formative years-from age 7 to 21-in Southern Indiana. Today, Indiana's Lincoln attractions include his boyhood home and some of the most extensive collections found anywhere in the world. In addition, communities statewide are planning special bicentennial events and projects. The Indiana Abraham Lincoln Bicentennial Commission was formed in 2006 to commemorate America's greatest president and showcase his Hoosier roots. Of Indiana Abraham Lincoln said, "We reached our new home about the time the State came into the Union. It was a wild region, with many bears and other wild animals still in the woods. There I grew up." From these humble beginnings, Abraham Lincoln rose to become the 16th president of the United States. The honesty, leadership, and determination that shaped his legacy were formed during his youth in the Hoosier state. 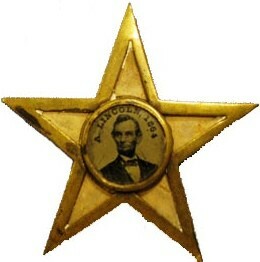 Indiana’s Lincoln Logo courtesy of the Indiana Historical Society. ©2007 Indiana Office of Tourism Development. All rights reserved.